Reaching your customers or donors — particularly through social media — is key to driving your year-end and holiday goals. But with diminishing organic reach on social platforms like Facebook and Twitter, how can you get in front of more customers this holiday season? Here are three tips that don’t take too much time but can have a big impact on your social media reach over the next few months. Even if you don’t have a “special” event scheduled around the holiday season, you should be using the events functionality on Facebook for things like a sale, for example. Because when you create an event on Facebook, the platform continually reminds your customers, in their notification center, that your event is upcoming, increasing the chances they’ll participate when the time comes. Even more valuable, it shows their friends and people in your general vicinity that your event is happening too, and pops up in their notification centers — thereby considerably extending your organic reach! And you don’t need to have a paid, ticketed event to use this feature. Have a sale coming up? Create an event. Want to remind people to think of your business on Small Business Saturday? Create an event. Think of the events calendar like a more powerful News Feed and post content to the event listing too. On Twitter, location matters. As a small business owner, you can leverage Twitter’s desire to be a “local” platform by using some of its location-based features to your advantage. First, when you’re posting a new tweet, make sure to toggle on the location setting (it looks like a map pin) and mark the location of your business. This functionality helps people searching nearby to discover your content more readily. When you want to find potential customers, you can use Twitter’s advanced search instead. Set a location (perhaps your town or state), then add any keywords people might be using about products or services you sell, and bingo: you’ll see the tweets of people near you that may be interested in your business. For example, if you own a pizzeria in Washington, D.C., you could run a search for “want pizza” near the city and find potential customers like this. And just like pizza topping options, the possibilities with this tool are endless. It may surprise you, but I’m not the biggest fan of hashtags. They have great uses, but I get sad when people don’t know how best to use them or use them gratuitously in every post. But, events like #Thanksgiving, #BlackFriday, #ShopSmall, #CyberMonday and #GivingTuesday are ideal times to use hashtags in your posts. Your potential customers, donors, or attendees are clicking on hashtags they see in other posts, leading them hopefully to find your content. Which one of these tips will you use this holiday season? 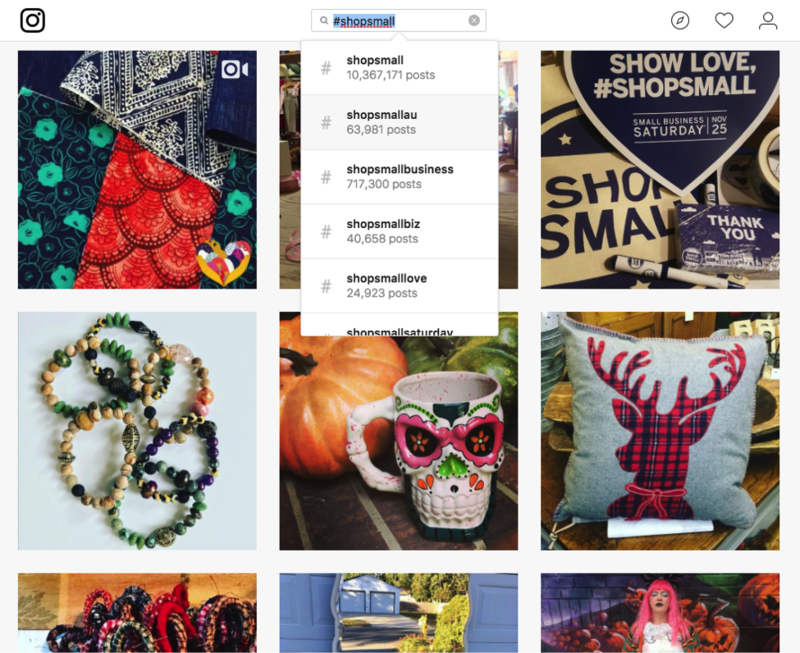 Now you have some precise ways to reach more customers with social media this holiday season. Pick at least one and get started. Let us know how you do in the comments.